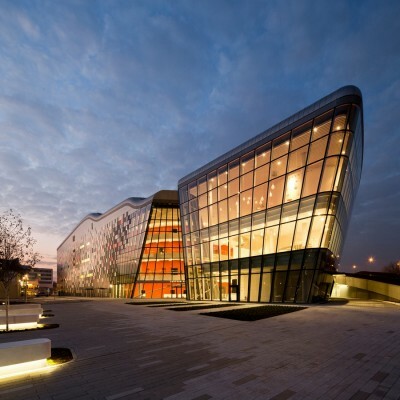 ICE Kraków Congress Centre, the largest recent cultural investment by the City of Kraków, inaugurated its operation on 16th October 2014. 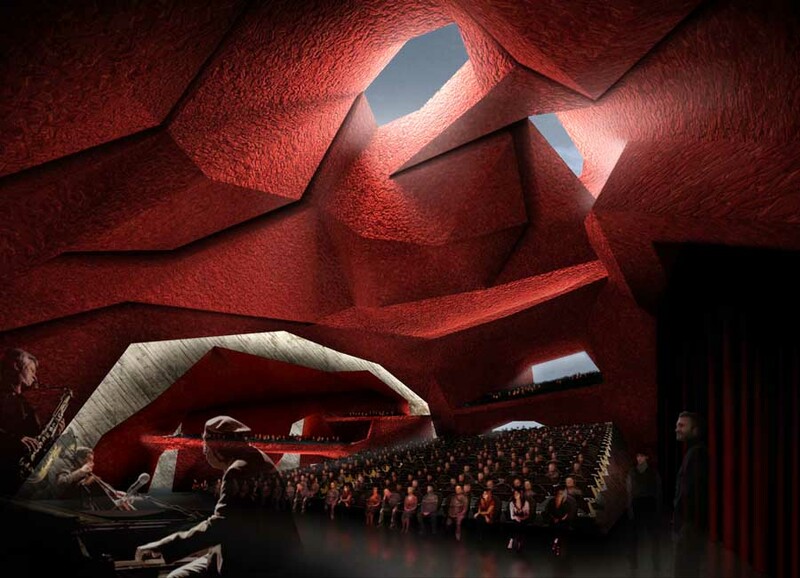 The modern, world-class congress and concert centre was designed by Ingarden & Ewý Architects in cooperation with the Japanese architect Arata Isozaki & Associates – result of an open international competition won by the team in the year 2007. 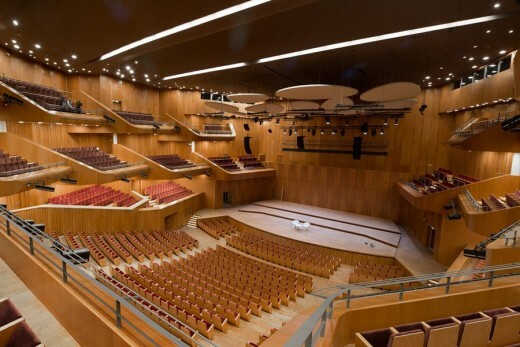 The building is dedicated to cultural events: music, ballet and theatre performances as well as congresses – comprises three main halls with 1791-1915, 600, and 300 seats respectively, and a multifunctional conference area with a floor space of 550 square metres which benefits from a system of mobile partitions allowing the free arrangement of this space, plus ancillary rooms and areas including offices, artists’ dressing rooms, and a commercial area. 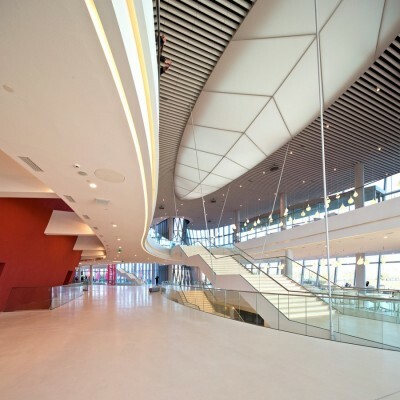 ICE Kraków Congress Centre was designed in conformity with the highest functional and acoustic standards, and equipped with state-of-the-art stage technology systems – the responsibility of experts from Arup Acoustic (London), Arup Theatre Consulting (Winchester) and Ramboll Acoustics (Cambridge). 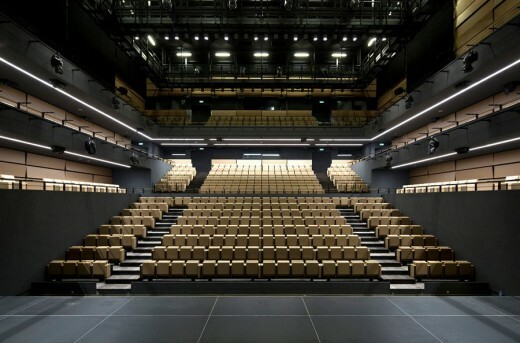 With the extensive range of events to be held on the premises in mind, ranging from symphony concerts, rock and jazz music, theatre performances, to major international conferences, the architects decided to design the main hall as semi-vineyard which allows various configurations of both audience and stage thus ensuring the best acoustic setting for every purpose. 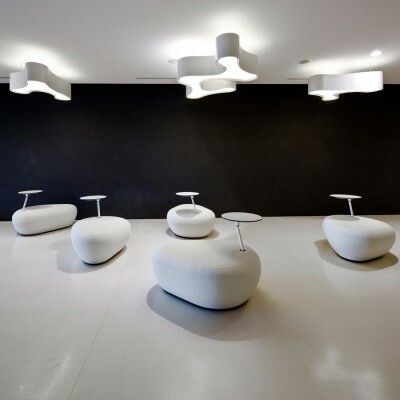 Besides the need to cope with functional and technological requirements, the architects designing the building had to take account of its exquisite and unique urban environment. ICE Kraków stands in one of the most prestigious locations in Poland: opposite Wawel Castle. The attractiveness of the Congress Centre results not only from the merits of its architecture and functions but from the location and the valuable panorama as well. 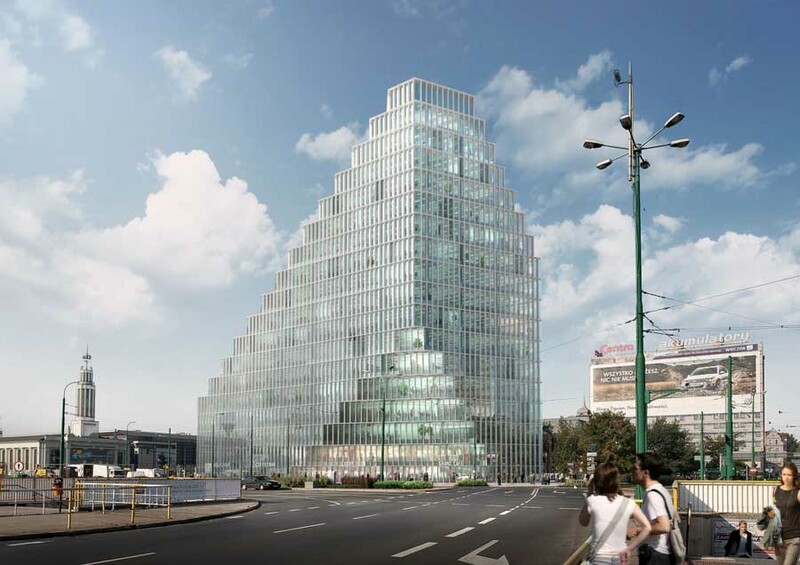 The building boasts a spectacular glass façade facing the Vistula embankment with the multi-storey foyer offering a panoramic view of the ancient City of Kraków situated right opposite. Suspended in the foyer area is a fantastic staircase leading the visitor to the many levels of the centre, and opening before them successive levels of a panorama over the city, with Wawel located in centre view. The form of the building stoops down in a cascade towards the Vistula so that the scale of the development is optically reduced from the embankment side. 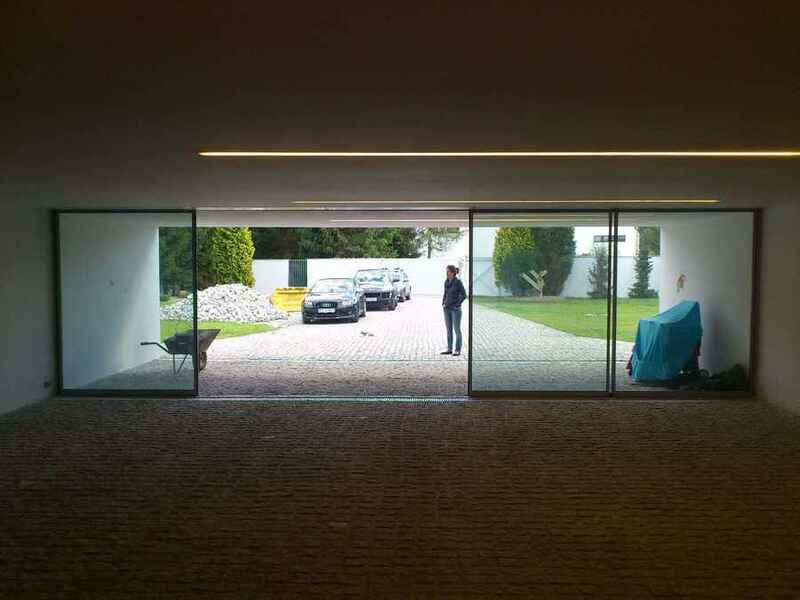 The façades are composed of glass, ceramics, and aluminium. 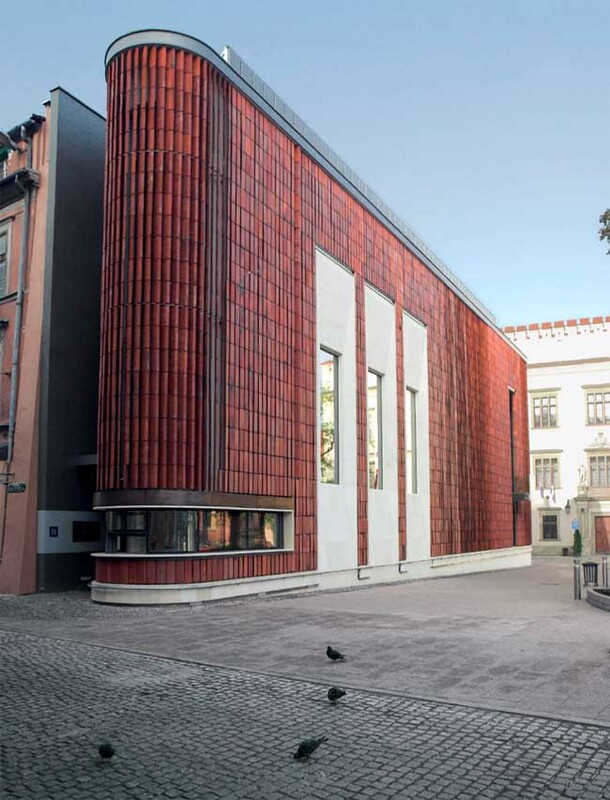 The colours of the external ceramic wall tiles reflect the colour range applied inside the building: the red of the Auditorium Hall, the graphite of the Theatre Hall, the white of the foyer, and the silvery aluminium used for the roof finishing. The architects intended the multi-element composition of the façades to reflect motion and life: the dynamics of a modern developing city. 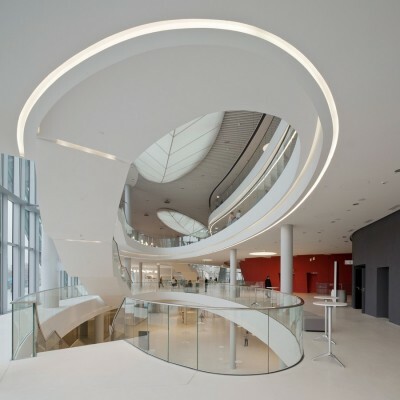 Through its scale and spectacular form, the building provides a new architectural point of reference for ancient Kraków, a spatially dominant feature symbolising the gate to the city and its modern strategy of development.